Home New Items EASTER HALF PRICE SALE NOW ON ! 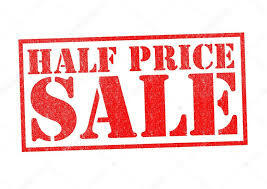 EASTER HALF PRICE SALE NOW ON ! FROM NOW UNTIL NEXT TUESDAY – EVERY CATEGORY APART FROM ANTIQUE GUNS IS HALF PRICE!